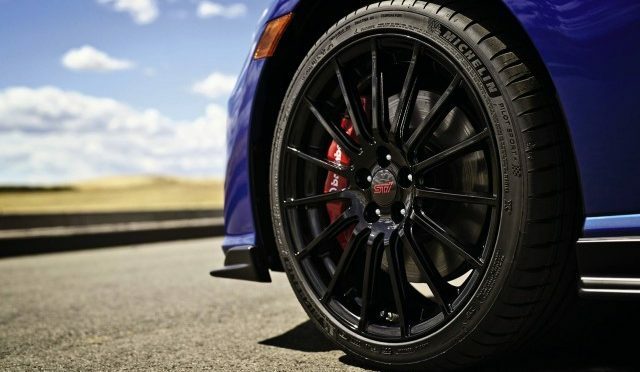 If you’ve been paying any attention lately, you’ve likely heard the buzz surrounding new versions of the Subaru BRZ and STI that are coming out. Well Subaru has finally released images of the STI Type RA (Record Attempt) and BRZ tS (tuned by STI) and, simply put, they look menacing. Thanks to new pistons, cold air intake, exhaust and a retuned ECU, the RA will get a slight bump to 310 hp (up from the standard 305). A different 3rd gear ratio and removal of the spare tire make the car feel lighter and nimbler than previous years. 19″ BBS wheels wearing some sticky 245 section Yokohama tires round out the exterior package alongside some carbon fiber aero and subtle visual clues to let onlookers know this is not a standard STI. The BRZ tS gets a host of suspension work and chassis stiffening. Sachs dampers and coil springs on all 4 corners coupled with V-bracing up front will undoubtedly make this an apex-slayer to the utmost degree. Add some lightweight 18″ wheels and some sticky 215 section tires in place of the old Prius-sized pizza cutters and you have a recipe for a knife-edge vehicle that will probably be quite happy at the road course. Visual updates will be limited to some carbon fiber aero bits and some well-bolstered seats inside the cabin, but then again, it’s all about the go and not the show here. We look forward to the release of pricing and detailed specs of these two new track-focused, pavement-hungry animals from the mad scientists inside Subaru’s STI division. They are expected to go on sale in early 2018 and well frankly, that can’t come soon enough! What keeps a car interesting? For one reason or another, a vast majority of us will want a new car within a few years. A combination of getting bored with the current ride and the allure of a fresh new set of wheels has the average consumer buying a new car every 6.5 years (actually, a dramatic increase as of late). But out there right now is someone who has owned a car for decades and loved every minute of it, so what’s the magical combo that keeps a car interesting for that long? For many, it’s the aftermarket support. Part of keeping a car for that long means that it’s always evolving – never truly finished, and that means LOTS of parts to be swapped in and out as tastes change. Whether that’s an abundance of wheels to try or 23 different types of exhausts to fit, the availability of aftermarket parts to keep rides looking up-to-date has always been a big part of the “it’s almost done, honey” perpetual project car. A car that you always look back at when walking away, that’s when you know you’ve got something worth holding on to. Whether it’s a 2017 or a 1987, a car with timeless looks can be the difference between trading up to the latest and greatest and holding on to your prized possession because “everything was better in the 80s”. 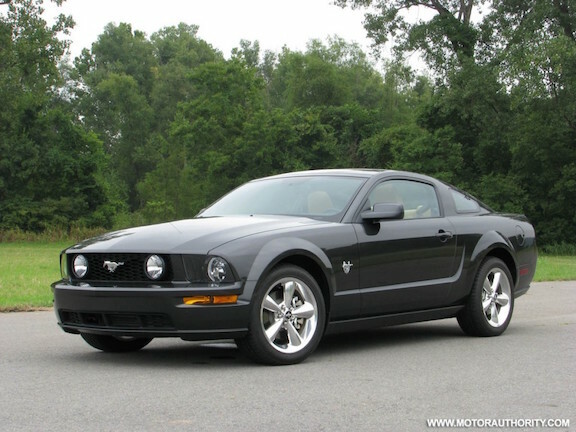 Of course, this is subjective, but a car that has captured your heart by way of your eyes is one that will usually be the object of your affection for quite some time. 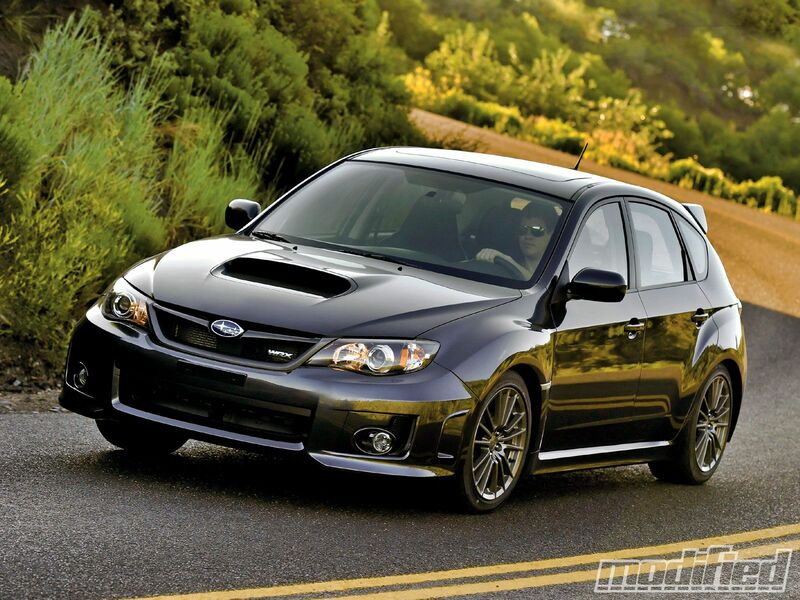 What keeps you swooning over your car? Is it the former or the latter? If it’s one of the two, a combination of both, or something entirely different, leave your thoughts on what helps cars defy the odds and become un-sellable. New cars for 2017: What do we have to look forward to? Every year seems to bring something new and exciting, and 2017 looks like it’s going to be no exception. From the “needs no introduction” Ford GT to a Mazda Miata hardtop enthusiasts have been pining for, manufacturers are really bringing their A games in technology, style, and performance. What we have here is a few of the vehicles we’ve been anticipating since the prototypes were released. 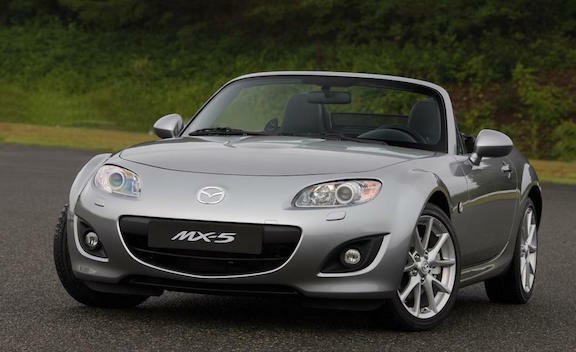 Mazda Miata RF: The RF stands for retractable fastback so while it is not the stiff, rigid and reworked coupe many enthusiasts would have hoped for, one can’t deny that it looks great and will keep drivers smiling for miles even in colder temps. It is without any major drivetrain changes, but why mess with perfection? Bugatti Chiron: While you won’t hear anyone say that this is a completely new beast when compared to the Veyron, you can’t argue with the fact that is does look lot less bloated and more purposeful. While still utilizing the ground-pounding quad-turbo W16 engine from the Veyron, Bugatti says the new 1500 horsepower figure is enough to tie the 0-60 time of the Porsche 918 of 2.2 seconds. For those of us that loved the technological breakthrough that was the Veyron but didn’t care for the looks, prepare to open your wallets to the tune of 2.6 million dollars. Ford GT: This re-work of the re-work of the LeMans winning vehicles of the 1960’s has probably received more press than any other vehicle being released in 2017. With Ford dialing back the cylinder count to 6 from 8, purists haven’t been afraid to vocalize their disappointment. 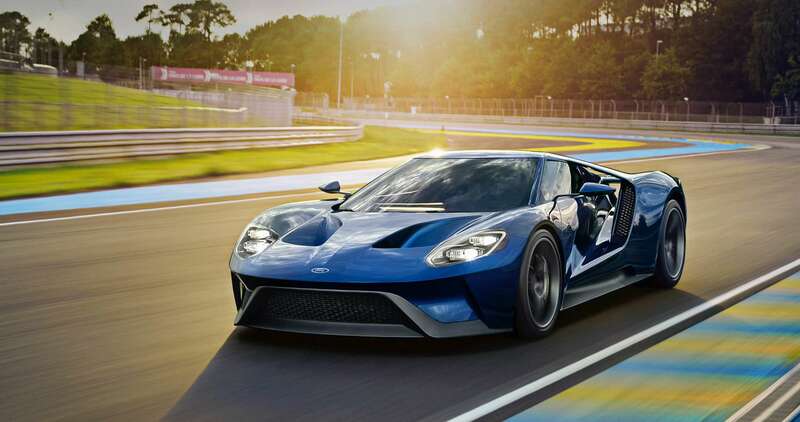 But Ford is saying that this will pack over 600 horsepower and couple that with a lightweight, mostly carbon fiber chassis and you’ve got a recipe for a car that will be very happy at a track indeed. Toyota Supra: Few vehicles are reveled by the tuner crowd than the Toyota Supra. From a manufacturer that produces some of the most reliable vehicles on the planet comes a car that produces reliable high power numbers. We don’t have many details on this concept pictured above, but if it is anything close to its predecessor, it will already have a cult-like following. Acura NSX: You’ll be hard pressed to find a more recognizable name among JDM fans than the NSX. Long heralded as a handling and chassis benchmark for performance, the first generations delighted drivers with impeccable handling and a driver focused experience that beat most anything else on the road. This newest generation is staying true to its roots with V6 mounted amidships, but adds electric motors to the front wheels for a bit more kick. We’ll see if this new kid on the super car block can live up to the hype. Volvo S90: The Swedes are going hunting for Germany car buyers with this all new luxury sedan dubbed the S90. A completely new platform for Volvo has this big Scandinavian boat riding smooth but also handling well according to most reviews, with enough pickup to get you into a little trouble. 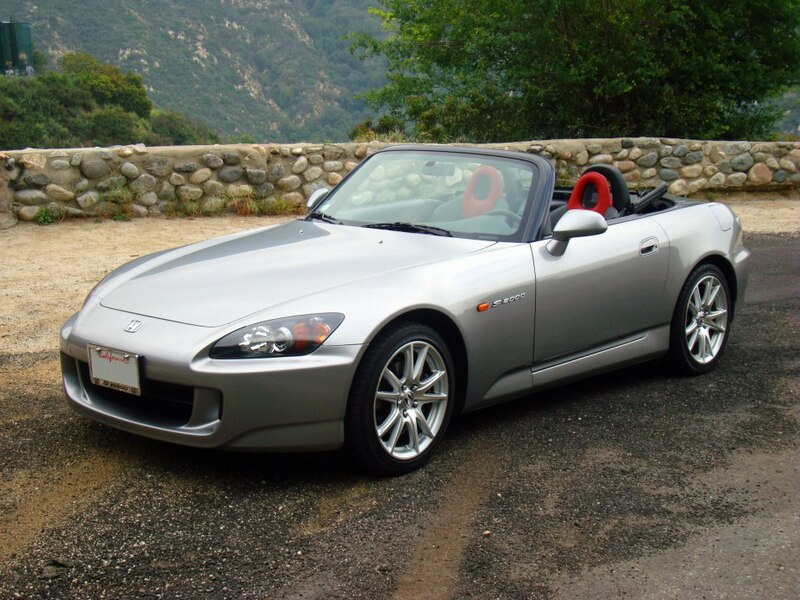 With a base price under $50k, this car could mean a big comeback for the beloved brand of safety-minded buyers. Alfa Romeo Giulia: For those who think that the BMW e39 M5 was the best car to come out of the doors at Dingolfing, you might want to take a glance at the new Alfa. The Quadrifoglio model with a turbo 6 that offers up 505 horsepower going to the rear wheels via a true 6 speed manual is probably the closest thing we’ll see to a true driver’s sedan for years to come. It certainly doesn’t hurt that this is probably one of the prettiest cars to be coming out in 2017 either. Cadillac XT5: A new crossover from Cadillac, how is that exciting? Well it is not so much about the vehicle itself as much as it is about the company as a whole. Cadillac struggles with the image that their cars are only driven by retirees and the XT5 is an attempt to shed that image. With less-than-stellar sales across the board, the XT5 needs to be a saving grace to help bring the manufacturer back from a slow decline. 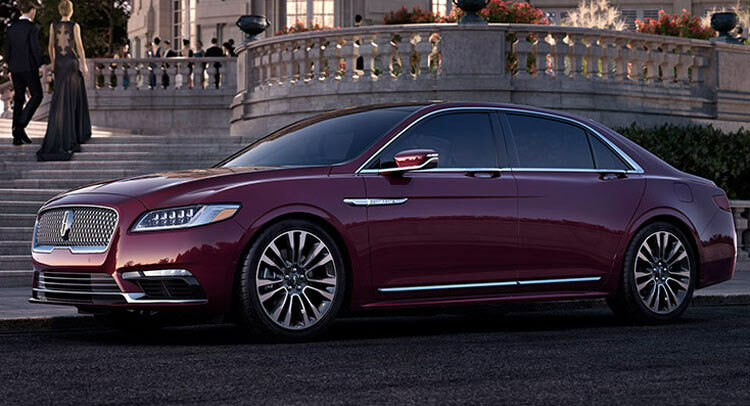 Lincoln Continental: Lincoln finds itself in a similar situation as Cadillac in that they are trying to appeal to a different buyer, but the Continental is far from a vehicle for younger drivers. With big aspirations to take down the well-established German competition, Lincoln has re-worked the Continental with available AWD and an optional twin-turbo V6 pushing out 400 horsepower. Only time will tell if this all-American luxo-barge is up to the task. With that out of the way, let’s start out with one of the more useful drive types for here in New England, AWD. All wheel drive means that all 4 wheels of the car are being powered by the engine, generally providing more grip in slippery situations. Manufacturers known for their prowess in this particular drive type are Audi and Subaru, Audi in particular having really pioneered the movement through their early Quattro rally cars. The benefits are numerous, more grip in the snow/rain/loose surfaces, extreme dry circumstances and generally even tire wear among others, but you do sacrifice gas mileage as there are more wheels that need to be powered by the engine. Most would consider vehicles with AWD a great all-around vehicle for those needing one car to do it all through all 4 seasons, however, this drive type isn’t as common as the next one. 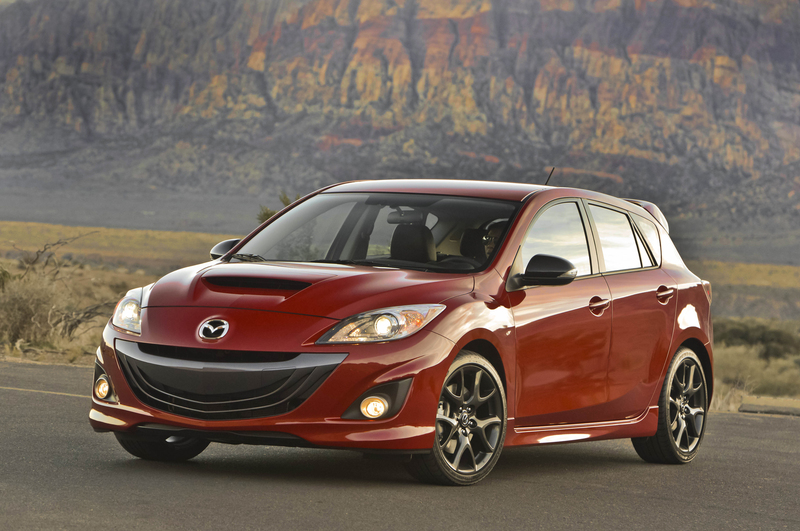 Front wheel drive is where the engine only powers the front two wheels. 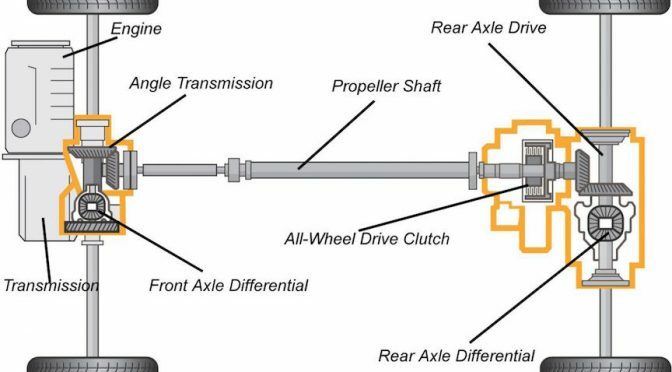 This is generally considered to the most common type of drivetrain, accounting for a vast majority of vehicles on the road because of its low cost and simplicity, and is found in popular vehicles such as the Toyota Camry, Honda Accord and others. 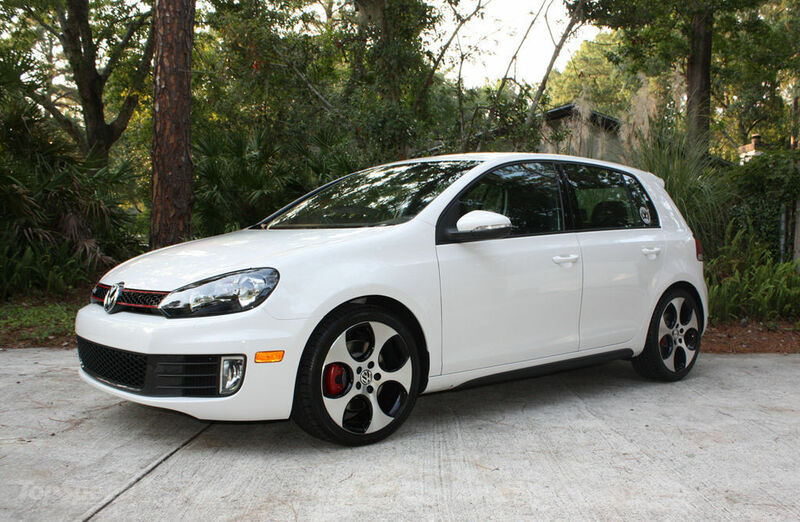 Front wheel drive vehicles can be more compact, and often have better legroom in the rear as they don’t require any mechanicals in the rear of the vehicle as in RWD or AWD. Additionally, FWD is much easier to control in inclement conditions as you don’t have to worry about the rear end swinging out every time you touch the throttle The downsides to FWD are few, but they generally have a greater turning radius as a result of having the driven wheels also do the turning, and they often exhibit what is called torque steer, which means in rapid acceleration the car will pull to the left or the right. However, manufacturers are constantly coming up with ways to combat this issue and newer, sportier FWD cars are being praised for their handling similar to a RWD sports car. If you were to take a poll amongst gearheads on which drivetrain they preferred, nine out of ten would probably answer RWD. The simple, front engine, RWD layout is what those with oil running through their veins consider to be the purest expression of a sports car. It allows the driver to get a little sideways when desired, and generally helps a vehicle keep close to the perfect 50/50 weight distribution. This is probably the rarest of drive-trains and often limits the vehicle’s ability to perform well in anything but ideal conditions with anything less than a very experienced driver. Porsche, BMW, Ferrari, and most sports cars have this layout (among others) and it will probably stay that way for the foreseeable future. 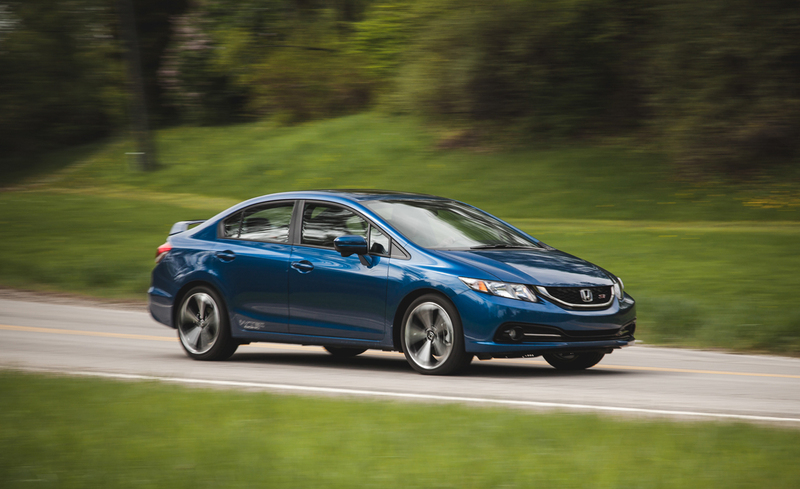 The benefits among those listed above are a higher MPG rating than AWD, lighter weight, and a generally simpler layout because of the two wheel drive instead of four. However, as much fun as these cars are on a sunny day, when the weather turns they can be a bit tricky to handle as a slightly liberal use of the throttle can result in a spin. RWD cars are generally found in garages as a second weekend vehicle, but there are those out there that will daily drive them as well (though they are few and far between in states that experience bad weather). 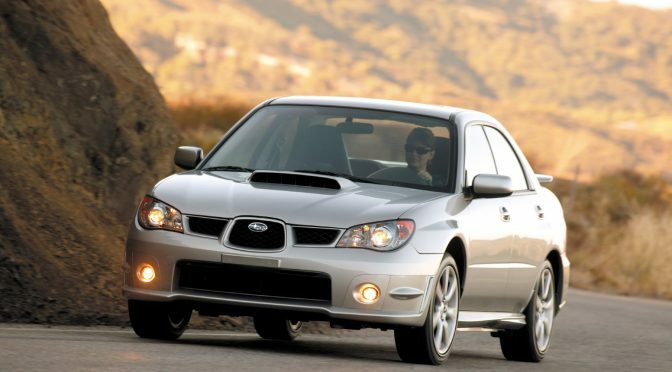 While RWD has traditionally been found in higher-end exotics, manufacturers such as Mazda, Subaru, Honda and Toyota are stepping up and making cheap, fun, and simple cars such as the long-lived Miata and the joint BRZ/FRS project by Subaru/Toyota. This leaves enthusiasts that aren’t among the 1% to enjoy the thrills of a well-balanced vehicle without emptying their pockets. While we didn’t cover the 4WD type of drivetrain in this article, it is very similar to AWD in that the number of driven wheels is the same, and the differences are minimal except for the fact that 4WD is generally associated with more off-road oriented vehicles and AWD is usually reserved for cars or light-duty cross-overs. 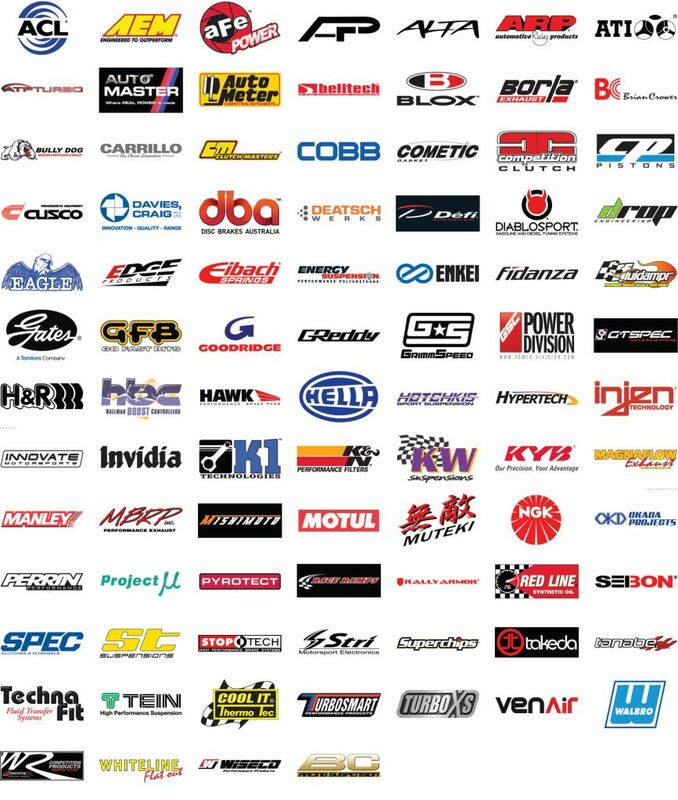 Whichever one you choose for your next vehicle, be sure to do your research before you decide so that you are happy with your purchase for years to come. With the heavy rain we have been experiencing here in Boston, we thought it best to put a quick reminder about things you should do differently when driving in heavy rain. 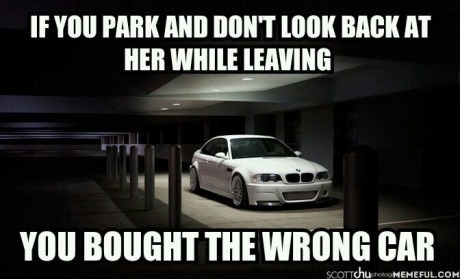 1) TURN ON YOUR LIGHTS! As hard as it can be to see a gray car in low sunlight, it is even harder when there is heavy rain involved so be sure that both your headlights and tail-lights are on. It is now a law in the state of Massachusetts that you must use lights when you have your wipers on, so pay attention and help other drivers see you. 2) Drive a little more cautiously, but NOT TOO SLOWLY! Everyone treats driving in the rain differently, with some being a little too brave, and others going a different direction and going 40mph on the highway. Do not be the latter as you are just as likely to get in (or cause) an accident as the speeder cutting people off. Maintain an appropriate level of speed while traveling to reduce the risk of causing unnecessary braking and swerving of other drivers attempting to go around you. 3) Watch for standing water on the shoulders and outside lanes. The roads we drive on are designed to send water off to the side, but often the rain overcomes the drains and we run into pools of water on the edges of the outside lanes. Be careful to avoid these, and if that proves dangerous, at least slow down before hitting the puddle to avoid hydroplaning, which is what occurs when your tires float on the surface of the water and lose grip. 4) Overall, just pay closer attention to what is going on around you. Drivers behave very differently when there are other factors affecting their habits and having serious rain puts most drivers on edge. Watch the behavior of all drivers in your immediate area and keep your head on a swivel.